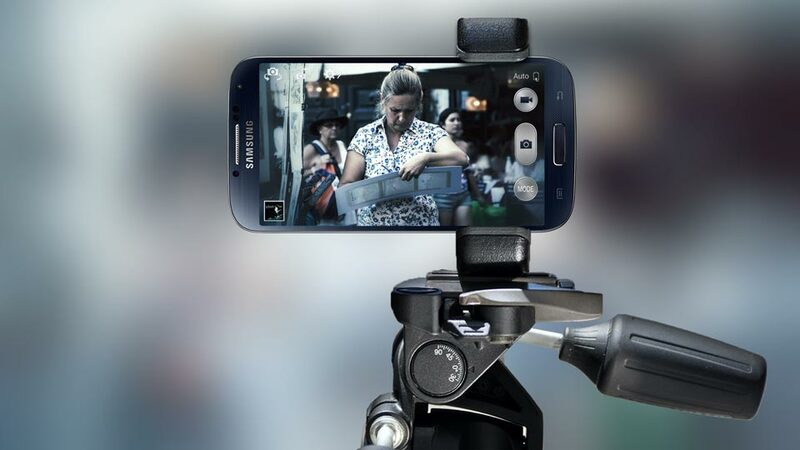 Shoulderpod, a company based out of Barcelona, began shipping the first 1,000 units of its new product, the S1 professional smartphone rig — a tool that helps mobile photographers and filmmakers improve stability while shooting. The $40 (CND) rig can be used in three ways: As a handheld stabilizer, a stand and it can also be fixed to a tripod. Compared to other products like the made-for-iPhone SmartPhocus, Shoulderpod's rig is a one-size-fits-all product capable of handling devices between 48 and 93 millimetres. It does not, however, come with its own set of lenses or lens adapters. Those who wish to use lenses will have to use clip-type lenses like olloclip's macro, telephoto lenses. (Note I haven't tested Olloclip's lenses and cannot vouch for their efficiency). Overall, the S1 is small and easy to carry, its rubber grip holds devices firmly without damaging them, it does not require a special case, it can be mounted on a tripod and is easily adaptable to virtually every device on the market. The grip is also small enough to leave the entirety of your device's screen free to use without covering any part of it. It's hard to find something constructive to say about a product that is so simple and adaptable. The only downfall I've noticed, as mentioned before, comes for people who want to shoot with lenses and other gear. Thankfully, Shoulderpod's S1 is not cumbersome and serves as a safe grip for your devices.